The Friends’ Association was founded in 1961 at the instigation of Festival President Bernhard Paumgartner, whose idea was to establish a closer link with Salzburg and its Festival for visitors from all over the world. The impetus was the opening of the Grosses Festspielhaus in July 1960, which meant that the Salzburg Festival had 2,000 more seats available and needing to be filled. “The Friends are faithful friends, always there to support the Salzburg Festival whenever needed,” their President, Heinrich Spängler assures us. His main focus is to encourage more people to become patrons and supporters of the Salzburg Festival. Heinrich Spängler has been President of the Friends of the Salzburg Festival since 1999. 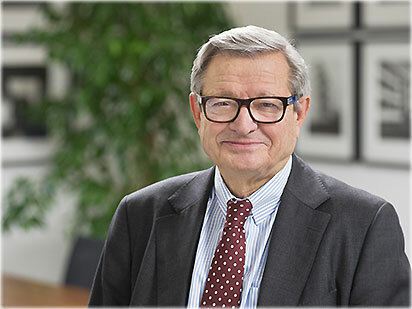 As a scion of one of Salzburg’s oldest families – the Bankhaus Carl Spängler & Co. AG is Austria’s longest-established banking house – and with his training in London, Paris and New York he is ideally suited to be chairman of this international association. Patrons pay an annual fee of 1,300 euros, which is tax-deductible in Germany, Switzerland and the USA. Benefits include priority booking, use of the Patrons’ Lounge, a special gift for Patrons, and the opportunity to attend Patrons’ rehearsals. There is a very attractive package offered to members of the Silver Club and the Golden Club. Silver Club members pay an annual subscription of 10,000 euros, Golden Club members 50,000 euros. In return they receive all the benefits enjoyed by Patrons plus an invitation to the opening ceremony of the Festival, and they receive programme vouchers in advance and seat reservations for performances with free choice of seating. Extra donations enable the Friends, in addition to the annual programming subsidy, to support Festival projects such as the Festival opening party, the “Festival ticket = bus ticket” promotion and the Festival Symposium. The Friends contribute around 5% of the Festival budget and are the Festival’s biggest sponsor. The Friends also raise funds for special projects – thus, the Friends from around the world have contributed 3.5 million euros to the cost of the Haus für Mozart, 3.2 million for the new roof of the Felsenreitschule, 250,000 euros for the renovation of the stage tower in the Haus für Mozart, 177,000 euros for the stage in the Felsenreitschule and 130,000 euros for the refurbishment of the artists’ and musicians’ dressing rooms. A donation of 147,000 euros was made towards the purchase of a new concert grand in addition to the sum of 115,000 euros for the cost of equipping the opera musicians’ stands with LED lights and 85,000 euros for the new Jedermann costumes. And now the Friends are collecting donations for the Salzburg Festival Jubilee in 2020. The year 2020 is a special year when we will be celebrating a hundred years of the Salzburg Festival – “looking both back to the past and forward to the future” to quote the Festival’s President Helga Rabl-Stadler. The Friends’ Magazine is published three times a year in both German and English. During the Festival itself the summer programme offers Friends the opportunity to attend introductory lectures, meetings with artists and guided tours backstage. Click here for further information on membership of the Association of Friends.